Chris’s path has consistently gravitated towards and found redemption in “making,” whether in Architecture School at Tulane where his attraction for physical form was explored in the sanctioned realm of cardboard models, or in the sun drenched playground for architects in the Arizona desert known as Arcosanti, a place where the medium of silt, clay and concrete are the primary means of expression. Playing in the dirt, he seemed to find his medium of choice and let his activities range from the scale of ceramic houses as demonstrated by Nader Khalili at CalEarth in southern California to the hand held clay creations afforded and indulged upon at Paolo Soleri’s ceramic studio on the edge of the Sonoran. 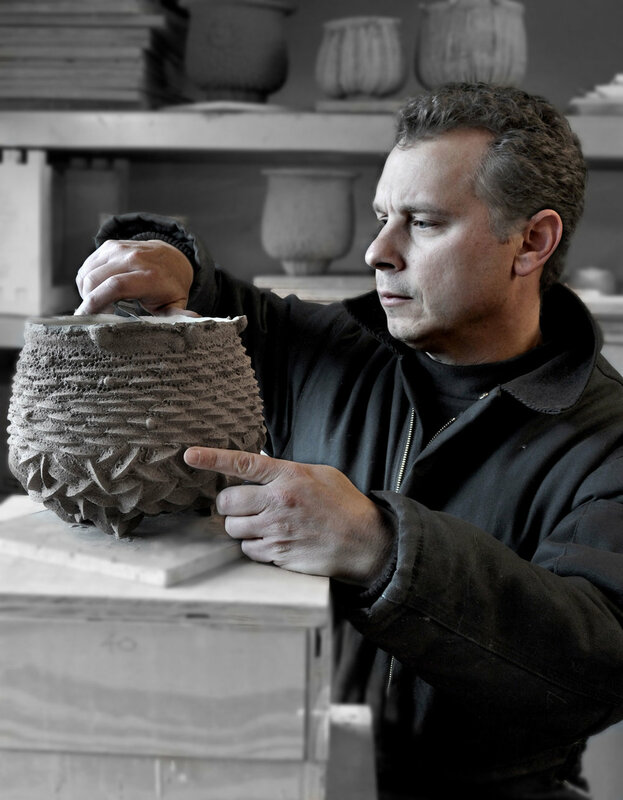 He later found a nurturing environment for these tendencies while earning his MFA at RISD and achieved breakthroughs working with clay and earthen mixtures, leading to his current body of work.